Electrical Muscle Stimulation (EMS) and Functional Electrical Stimulation (FES) for rehabilitation are developing fields that have started to intersect with exoskeleton development. In electrical muscle stimulation, a small electric field is applied across muscle groups causing them to contract. The voltage can be applied above or under the skin and to the muscles or to the nerve fibers feeding into the muscles. The most common method is to apply soft pads on the skin in pairs. Typically one pad is the anode and is placed at the beginning of a muscle group. The other pad is the cathode and it is attached at the opposite end of the muscle group that is to be activated. EMS has already been used for years to stimulate inactive muscle groups to make them exercise. There are two drawbacks to this technique. Because the muscles are being externally activated, the human body does not get the full benefit of voluntarily working the muscle groups. A second significant disadvantage (that will be discussed further) is that electrical stimulation fatigues the muscles very quickly. Electrical stimulation can be used to exercise muscle groups repeatedly and assist with neuroplasticity (rewiring damaged brain pathways due to injury such as stroke). The technology is advancing, and it will inevitably become integrated with exoskeleton rehabilitation in the future. The exoskeleton industry will have to keep an eye out for developments in electrical stimulation rehabilitation. Fortunately, the Exoskeleton Report team had the opportunity to do just that! 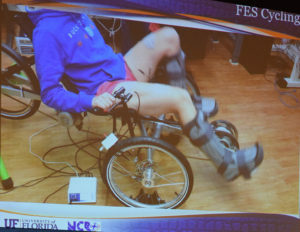 The IEEE Control Systems Society (CSS), with the support of Qualcomm Inc and other sponsors, hosted a presentation by Professor Warren Dixon, University of Florida, Gainesville titled: Cybernetic Cycling: Robotics/Autonomy Insights Facilitate Neurological Rehabilitation. 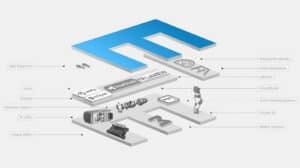 For a complete profile, visit the Nonlinear Controls and Robotics Website at the University of Florida. Not only is Professor Warren Dixon an authority on robotic motion control and muscle electrical stimulation but he is also a mentor to an FES powered bicycle team for the upcoming Cybathlon. Furthermore, some of his students have now formed their own company for muscle rehabilitation on a bicycle. During his talk, Dr. Dixon was able to share some of his experiences getting the cycling team ready for the Cybathlon competition. The first challenge that Dr. Dixon and his team faced was to get the timing right so muscle groups can be activated to produce a smooth contraction. Poor timing of the electrical stimulation causes the muscles to contract chaotically, resulting in little useful torque output. According to Dr. Dixon, the key to overcoming the first hurdle was to find the lowest possible electric pulse frequency and to introduce a delay in the control that matches that of natural muscle movement. 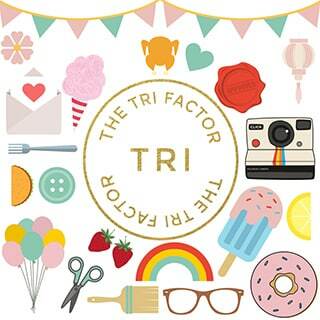 The second challenge was to decrease muscle fatigue. As mentioned earlier, electrical stimulation needs to be performed at a higher frequency than that usually used by the body’s nervous system. This causes muscles to become tired much faster than they should. On top of this, people undergoing rehabilitation almost always have reduced muscle mass and strength. Combining the two together, classical electrical stimulation exhausts the muscles too quickly. The team looked at two methods to overcome the challenge: activate the muscle at a different point as it contracts or activate separate muscle groups independently. The team chose the latter, but their control method became much more complicated. Rather than having the equivalent of one motor turn around one degree of freedom, they had as many as four motor groups (this would be like driving your car with four different gas pedals). While this made the math more difficult, it led to a visible reduction in muscle fatigue. The separate muscle groups were being activated only when needed and had more time to relax. Finally, the group had to overcome one more major challenge. As the bicycle is cranked by both legs, every time the pedals are in the same line as the legs the only force keeping the rotation going is inertia. This means that part of the bicycle crank rotation is uncontrolled. It is not clear when the pedals will again rotate to their optimal angle to be pushed on by the legs. If the timing of the muscle activation is incorrect the error (measured in milliseconds) could potentially build up. To solve this, the team added a motor to the bicycle that takes over the pedal rotation when the crank is in the dead zone (the angle at which pushing with the legs results in minimum rotation). The bicycle thus becomes a cybernetic device. In addition to the motor, the bike is also equipped with rotational and torque sensors at the crank which feed information back into the control algorithm. The resulting control system is a closed-loop computer controlled electrical stimulation of the muscles that results in the rider’s legs following a set rotational speed and force. The Exoskeleton Report team at the Qualcomm Inc. sign before the August 2016 IEEE CSS meeting. 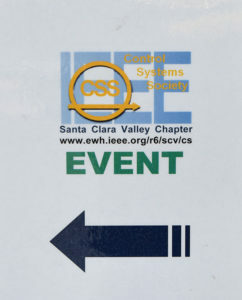 While the presentation was quite informative, it had a second component. Dr. Dixon made a personal plea for robotic engineers and control system developers to get on board with the rehabilitation industry. Their expertise is now becoming essential to move rehabilitation robotics forward. In the room of about 40 professionals and engineers (again, special thanks to Qualcomm Inc. for providing the space) no one but the Exoskeleton Report team had even heard of the Cybathlon competition. While we will all be cheering on the MYOLYN team at the FES bicycle race, the research moves on. Dr. Dixon’s lab is already working on FES rehabilitation with patients standing up suspended from the ceiling. 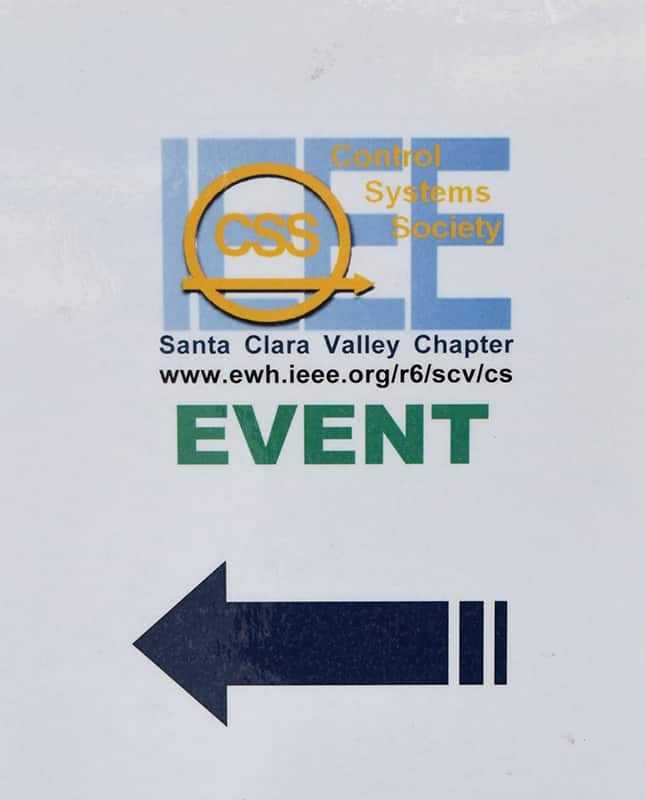 Special thanks to IEEE Control Systems Society (CSS) and their sponsors such as Qualcomm Inc. for hosting a great event! Solid article guys, really looking forward to your coverage of Cybathlon. Thank you! Unfortunately, no one from the Exoskeleton Report team will be able to go to the Cybathlon this year. We will be there in spirit, and we will be more than happy to accept article submissions from anyone that wants to report directly on the event.